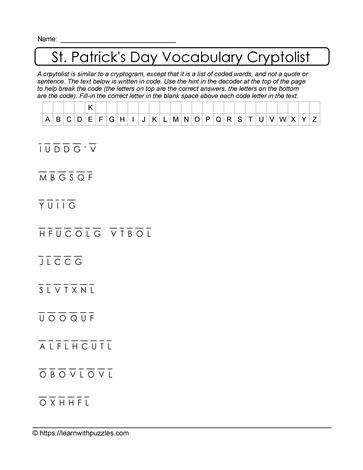 These 10 crack the code St. Paddy's Day words are a great way to support your theme based unit. To solve the puzzle, decipher the alphabet code and record the letter substitutions in the grid at the top of the page. HINT provided.